HUGE price reduction. Seller financing available. Welcome to Armour Ridge Vineyard. The 130+ level acres which include premium Cabernet Sauvignon, Merlot, and Syrah grapes were developed and perfected by Steve Carter of J.Lohr Winery. The grapes have attracted popular "Growth Brands" like Tooth and Nail Winery, Constellation Brands, Justin Winery, Kendall Jackson, Delicato and Club W.. Thanks to the careful development and planting of the vineyard, youâll find it's easy to farm, manageable, and stunning beyond measure! Beyond the world-class vineyard, the property also features a shop and a productive Ag well. There is plenty of room across the two parcels for you to build a luxurious home and complimentary guest house. 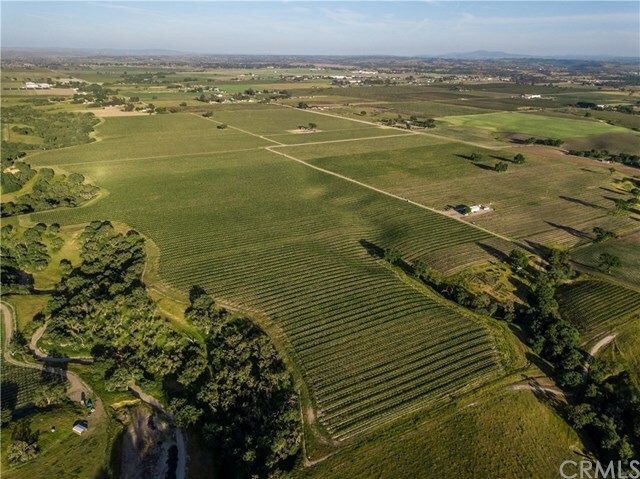 What better way to expand your investment portfolio, get involved in the American tradition of agriculture and have a ton of fun, than buying your very own vineyard?! Detailed package available. Directions: 46E to Airport Road, left on Adobe Road (after Airport and before J.Lohr), 1.5 miles on the right.